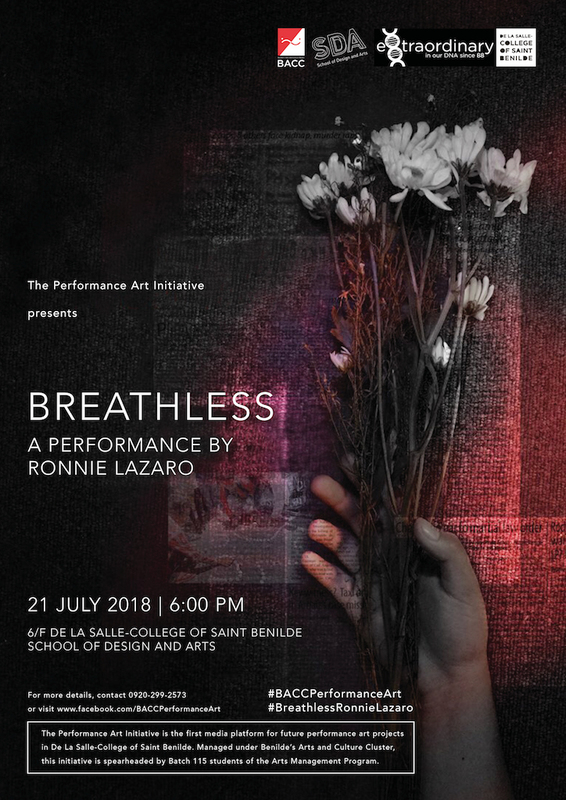 Film veteran Ronnie Lazaro will have a one-night-only performance of ‘Breathless’ this July 21, 2018, 6pm at the 6th Floor of the De La Salle – College of Saint Benilde’s School of Design and Arts. 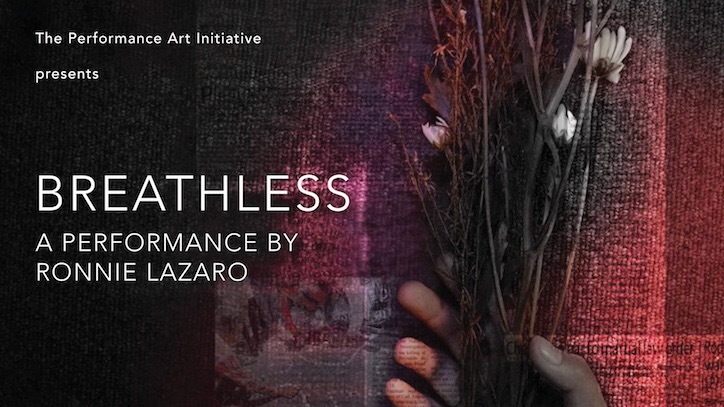 The concept of the performance revolves around the idea of death and how it is inevitable and unpredictable. As opposed to the performing arts, which has always been scripted and meticulously rehearsed, performance art doesn’t necessarily have to have a script. There is an essence of spontaneity coupled with an artistic process between the artist and the performance. The Performance Art Initiative is a project by the Benilde Arts and Culture Cluster (BACC) of De La Salle – College of Saint Benilde. The group aims to help people know more about the form and the brilliant, creative minds of Filipino performance artists, who in return introduces audiences to a wider and newer perspective of the art world. The platform was established to help fund future performances within the college. 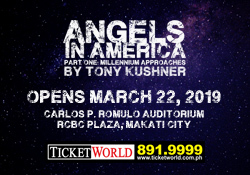 Admission is free and open to the public, but the venue can only accommodate 150. You can pre-register HERE. Visit the Facebook page www.facebook.com/BACCPerformanceArt for more information and updates on ‘Breathless’ and the Performance Art Initiative. Next Philippine Opera Company's Young Artists Series Returns with "T'Aint Opera"